The waney Lap fence panel is tough and robust. Our fence panels are treated to prevent rot, fungal decay and insect infestation. They look rustic, offer boundary protection and will cope with all the weather throws at them. These panels are in stock ready for speedy delivery. 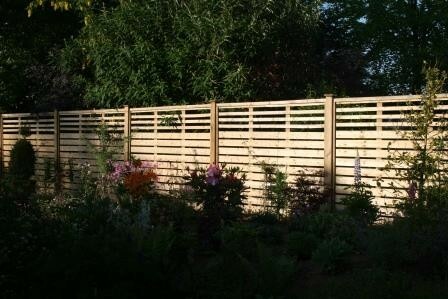 This timber fence panel is 1.8m (6ft) wide and stocked in a range of heights. Heights of 5 feet and above are superb for security and privacy. Shorter heights are a brilliant way to indicate your boundary without destroying your view and can also be a great safety barrier to enclose young children or pets within your garden. This panel is suitable for either timber posts or concrete posts. This panel works particularly well with a number of our timber gates but we also offer metal gates.